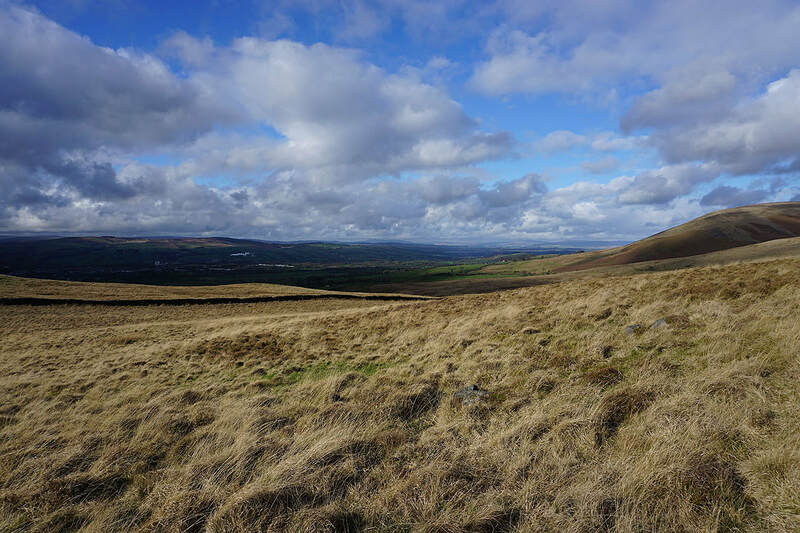 It's a long time since I've had two weekends in a row without getting out on a walk somewhere because of bad weather, fortunately conditions improved enough for a local walk this afternoon, so that this wasn't one such occasion. 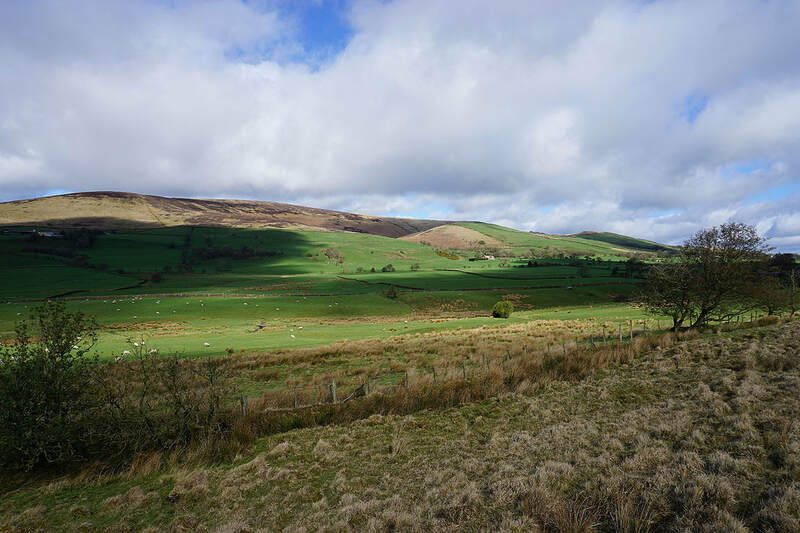 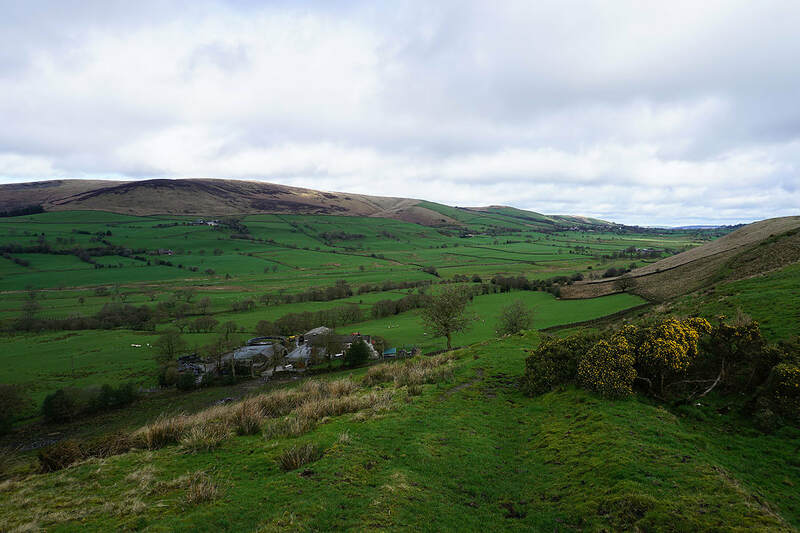 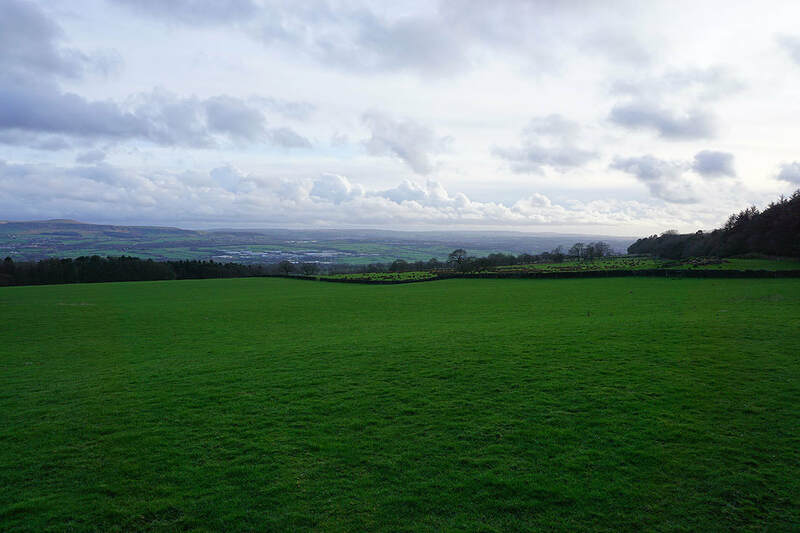 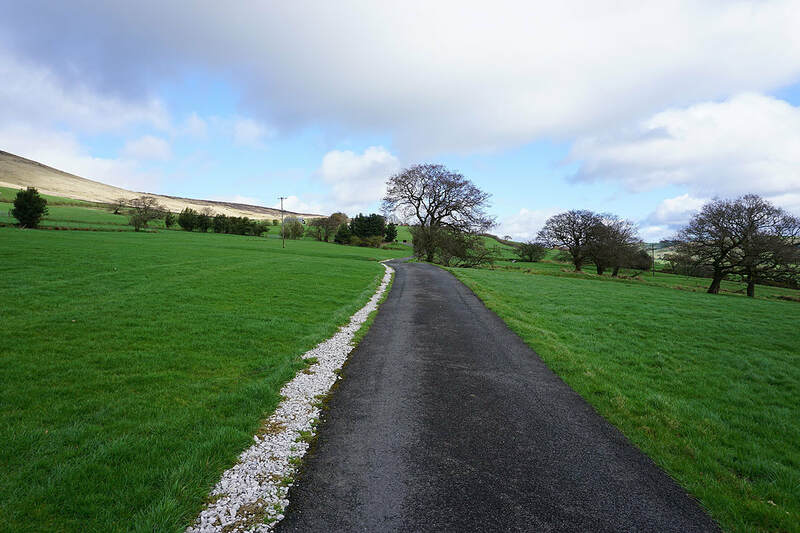 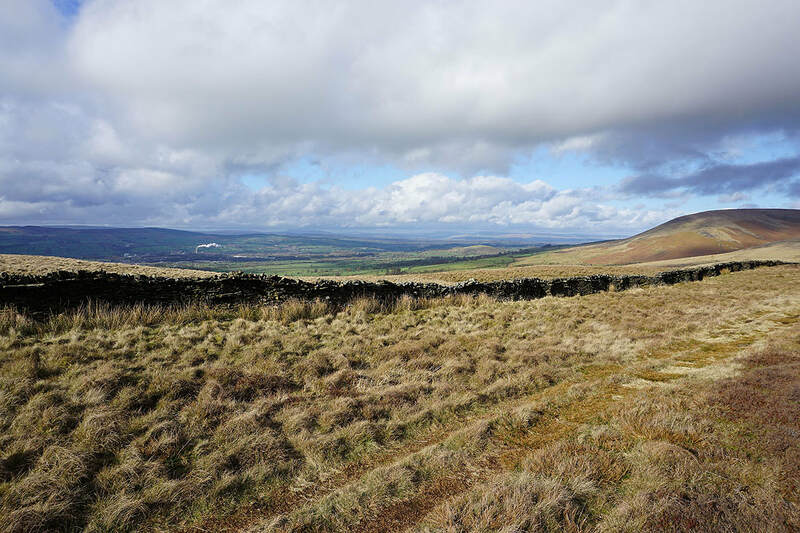 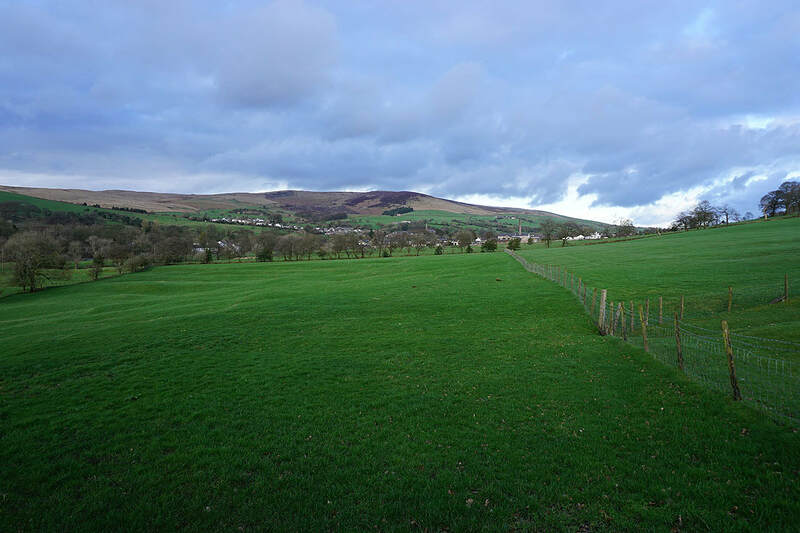 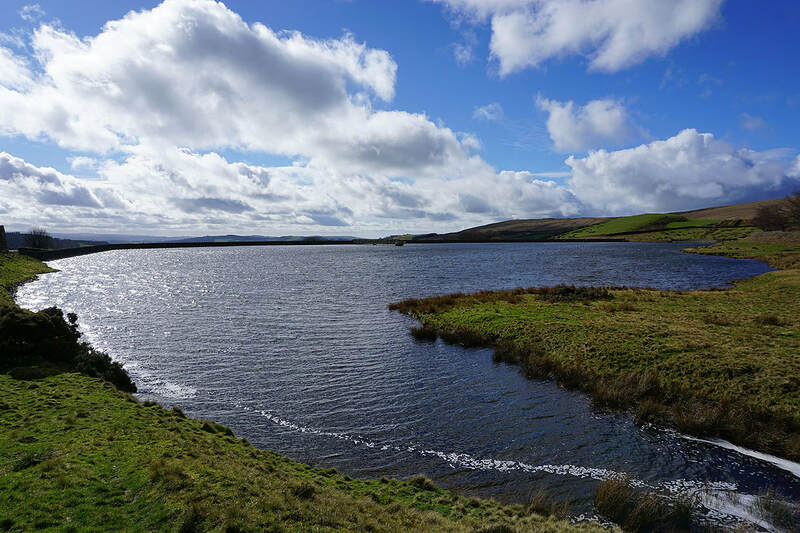 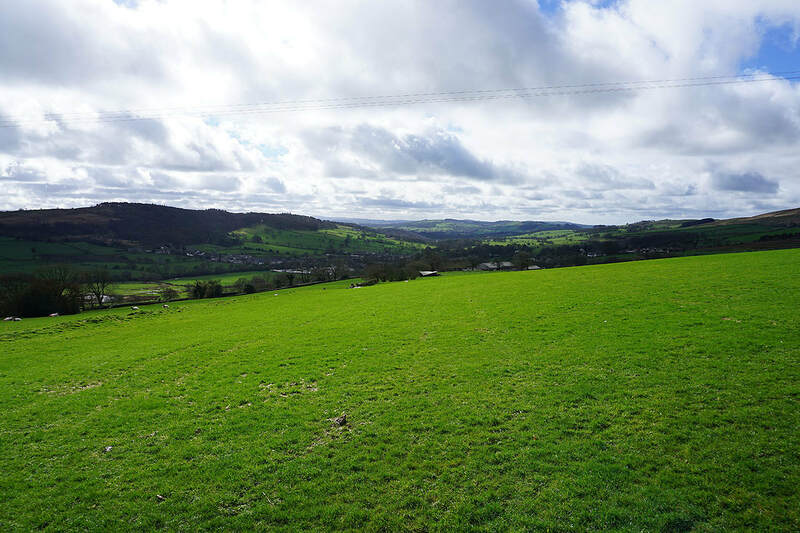 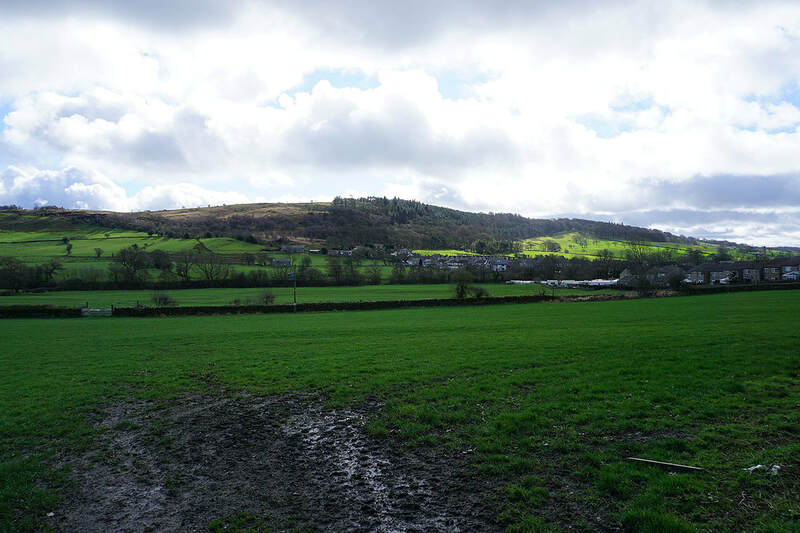 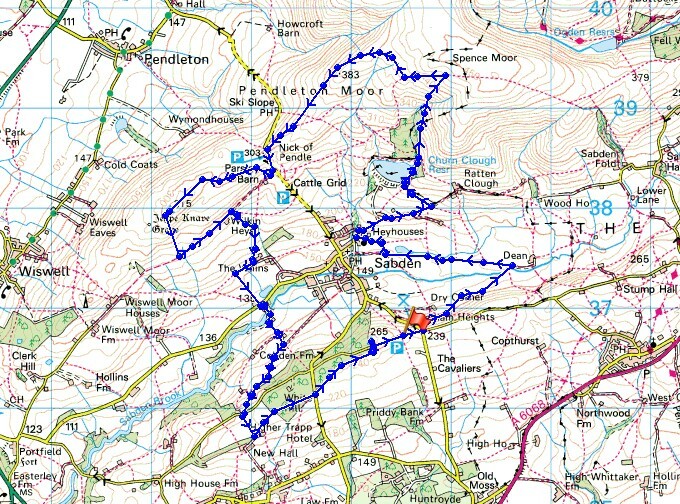 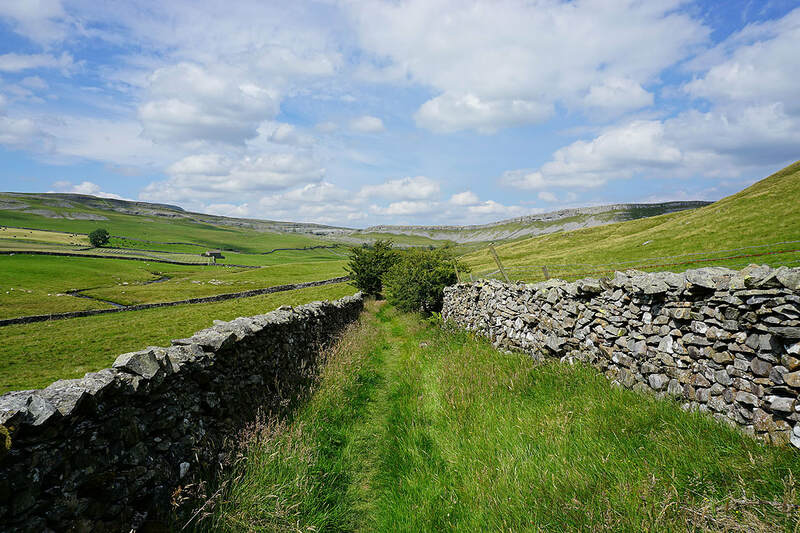 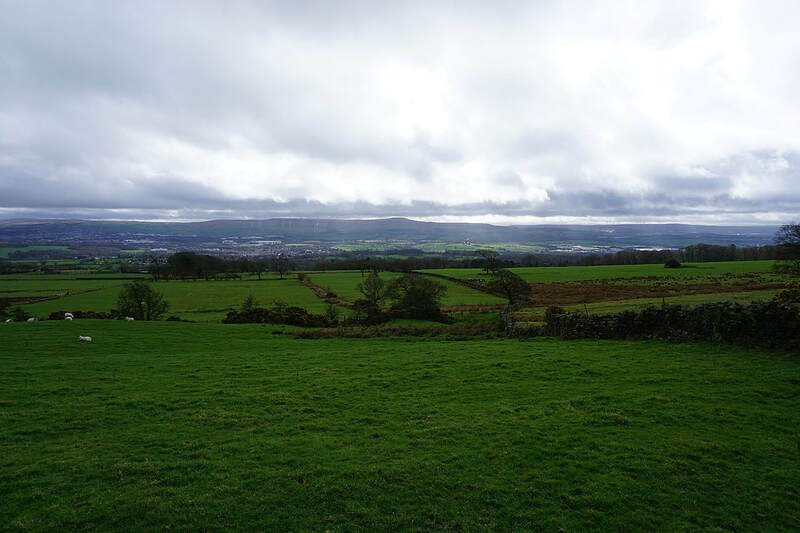 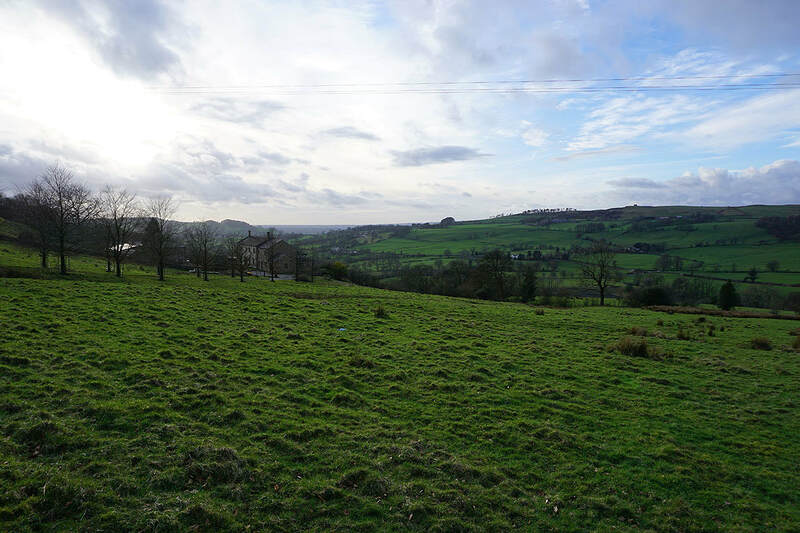 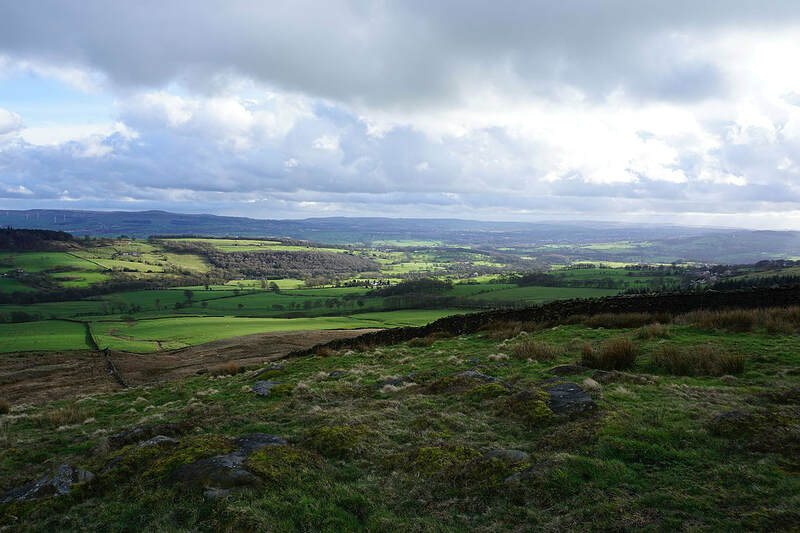 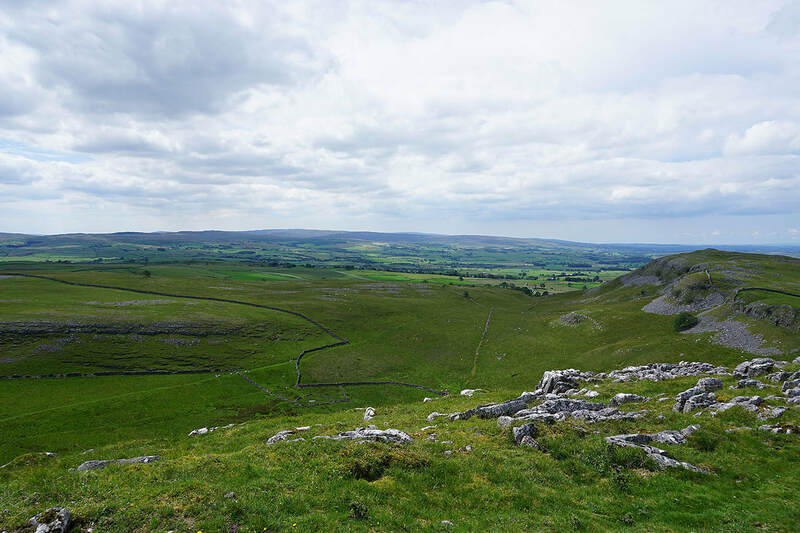 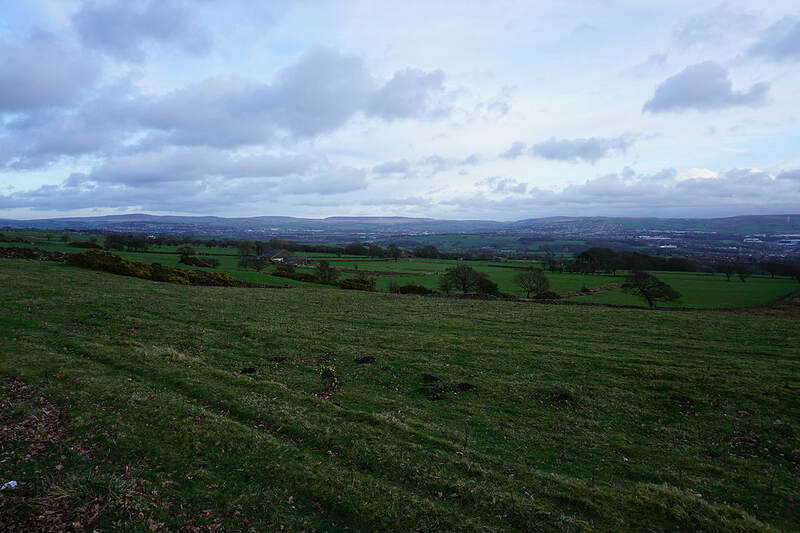 I decided to do a route that took in some of the moorland around the village of Sabden and the valley of Sabden Brook. 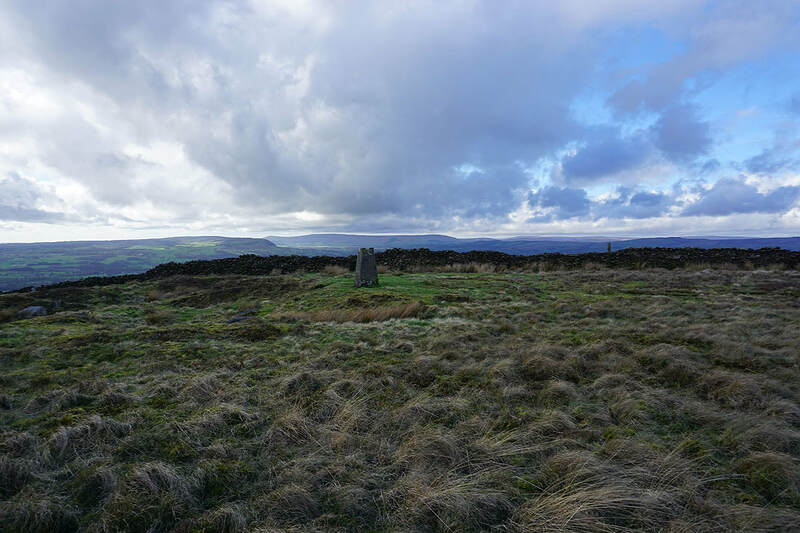 This took in the trig points on The Rough and Black Hill, both of which I've visited before, but starting from Spring Wood near Whalley. 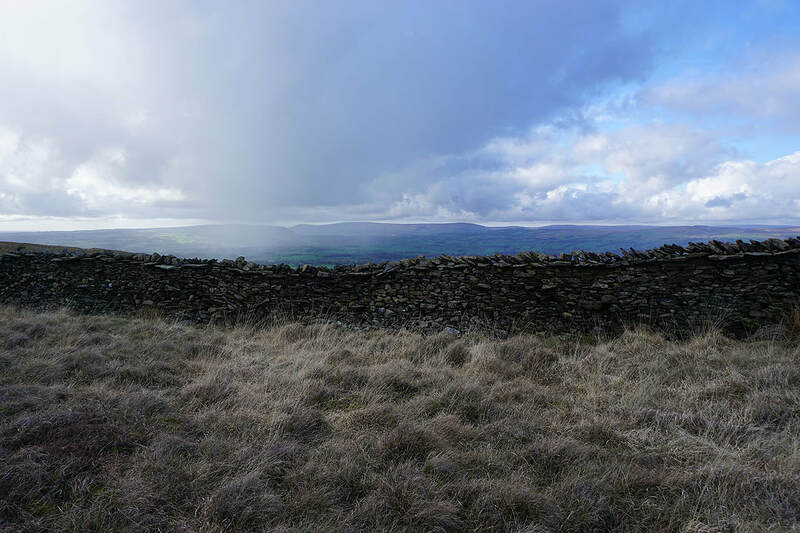 The afternoon was a mix of sunny spells and the odd brief passing shower with strong, cold and blustery wind throughout. 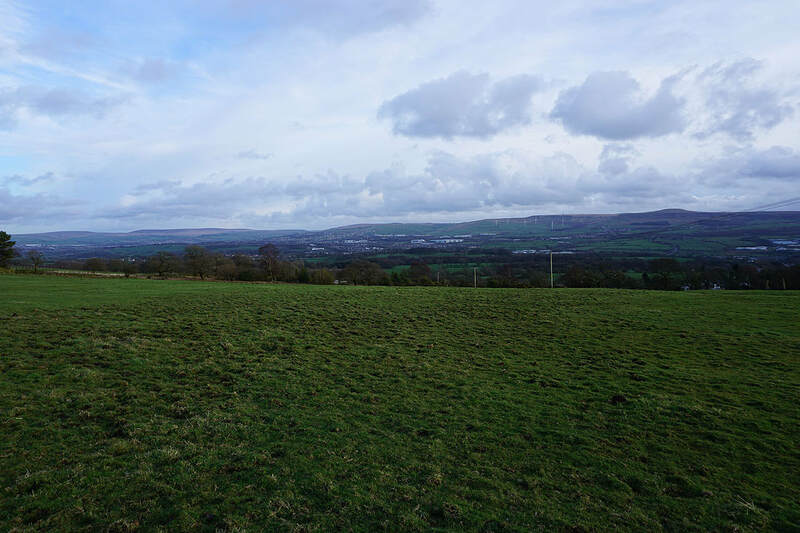 ​From the layby on Back Lane on Black Hill I walked east along Back Lane to its junction with Sabden Road, crossed the road, and took the footpath opposite down Padiham Heights in a northeasterly direction to Sabden Brook. 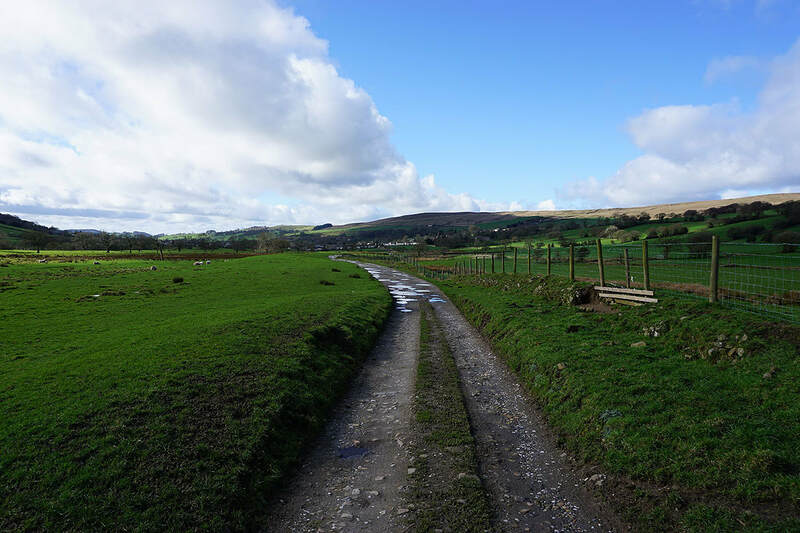 After crossing Sabden Brook I picked up a bridleway and followed it west to reach Sabden at the church of St. Nicholas. 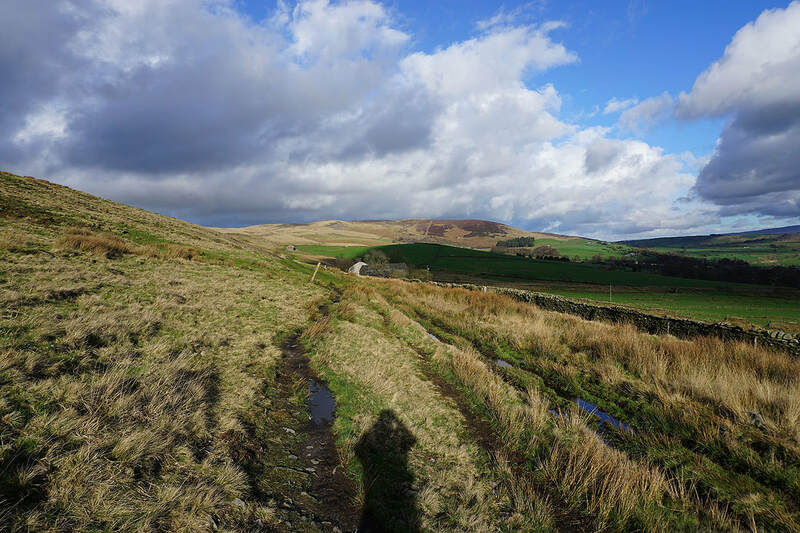 From here I followed the bridleway around to the right, then uphill past Heyhouses and New York Farm, and on towards Ratten Clough Farm. 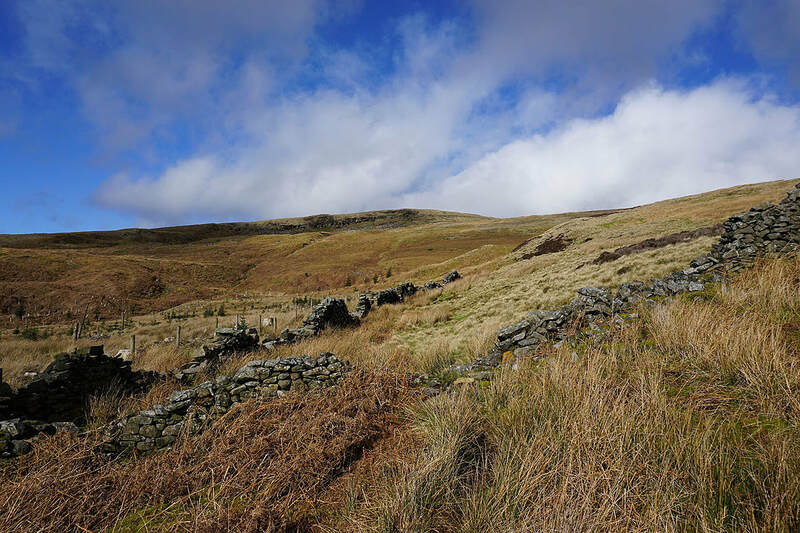 As the bridleway reached a cattle grid as it approached Ratten Clough Farm I turned left and took a footpath uphill to reach Churn Clough Reservoir, where a bench proved to be a good place to stop for break. 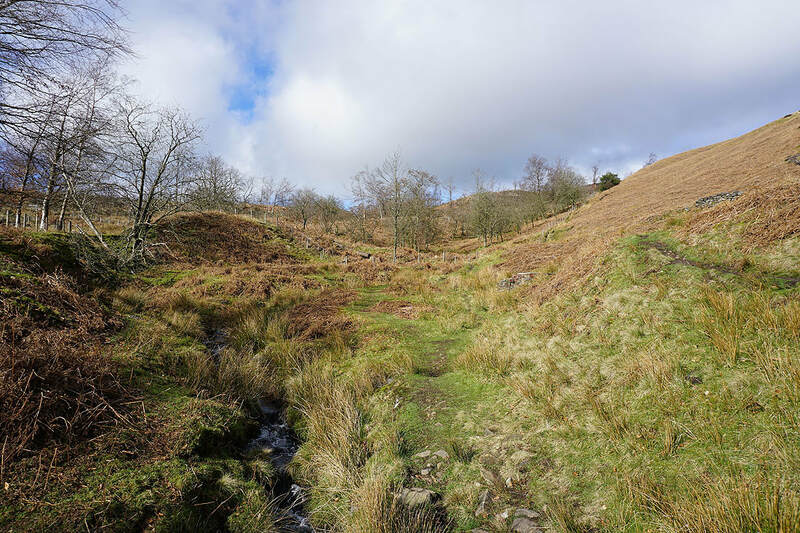 I then made my way around to the northeastern corner of the reservoir to cross a stile onto access land to make an ascent of Churn Clough onto Spence Moor (there's a clear enough path to follow). 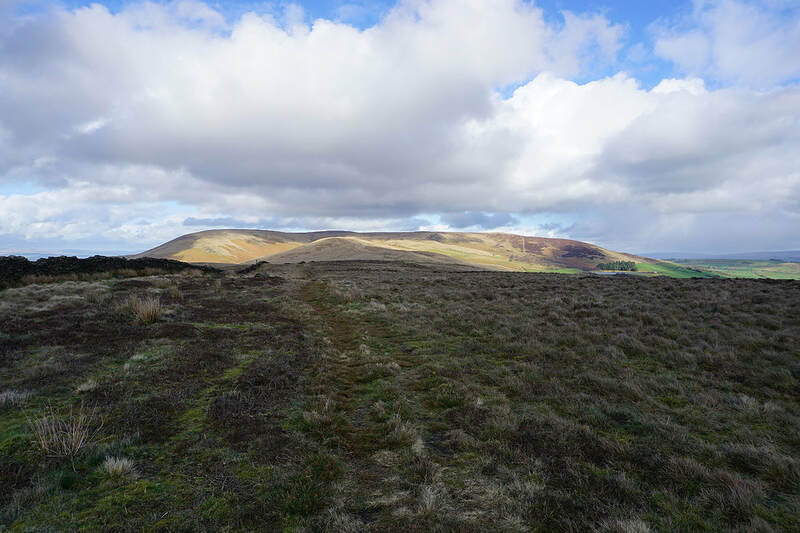 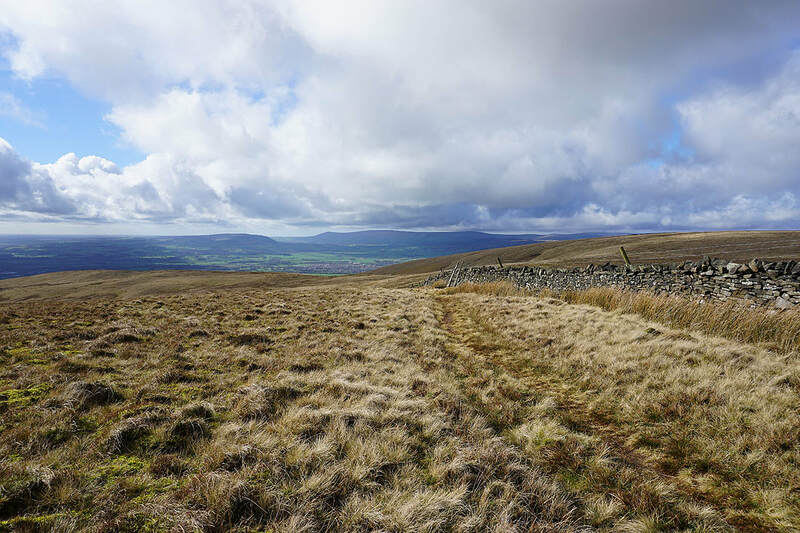 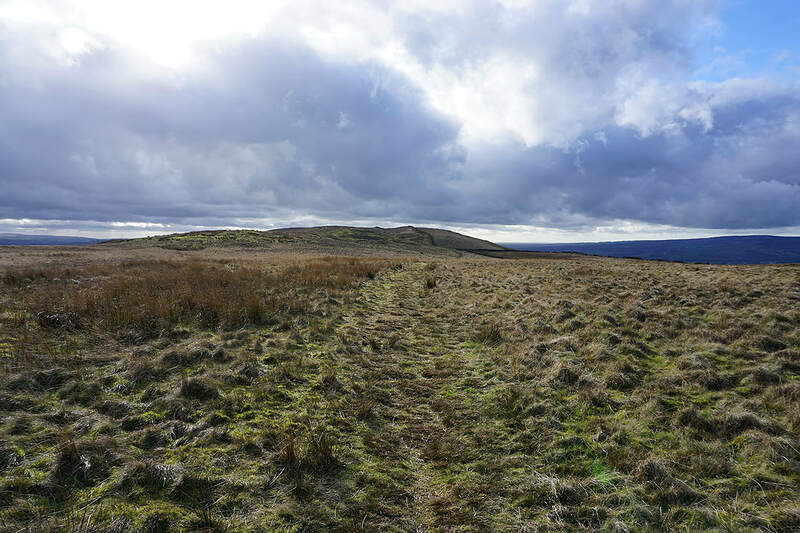 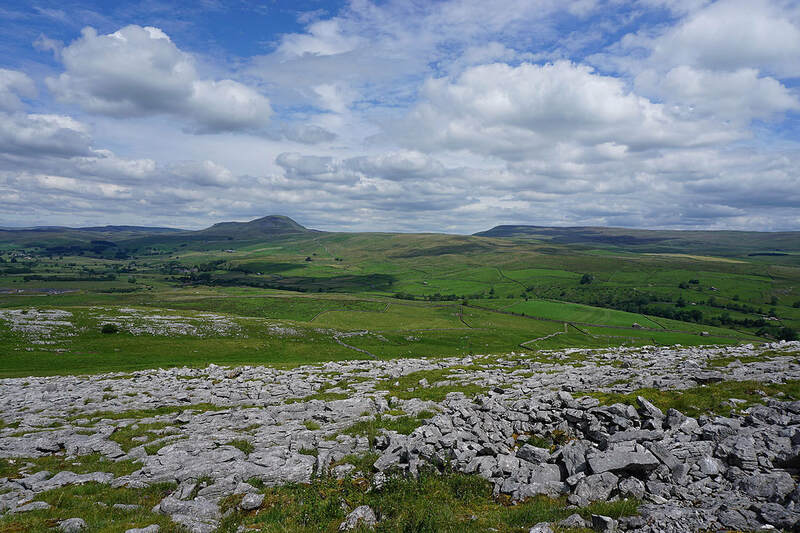 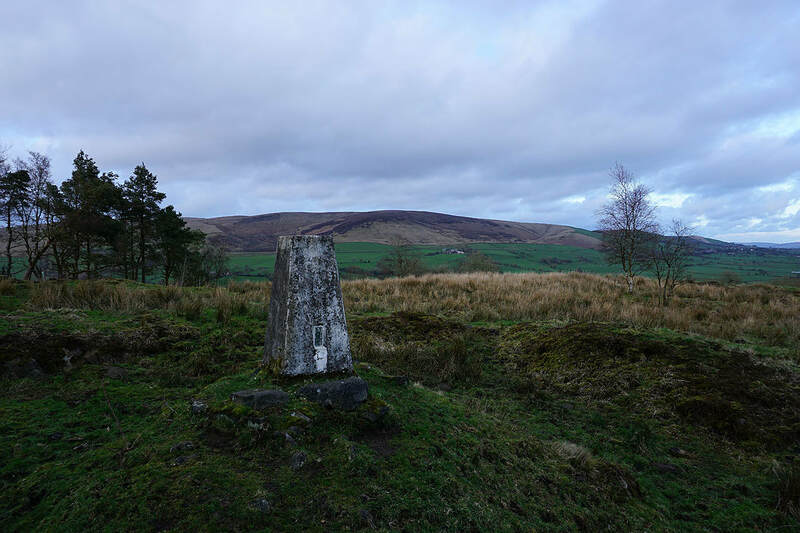 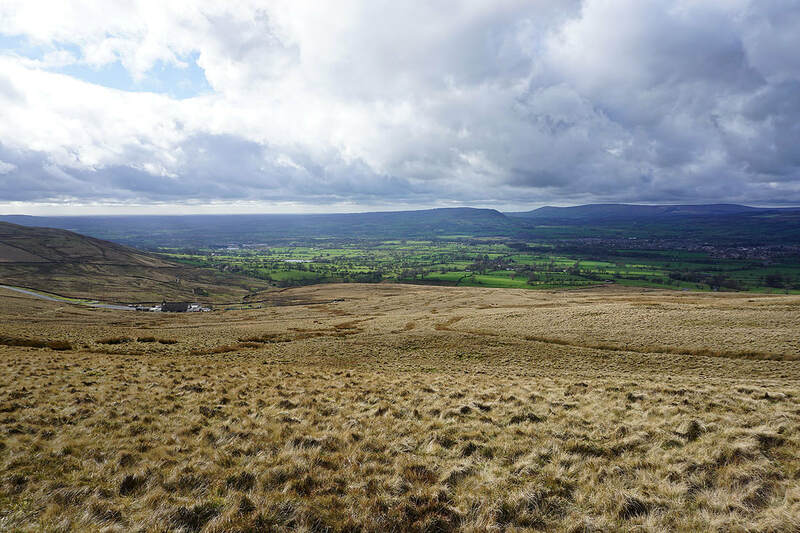 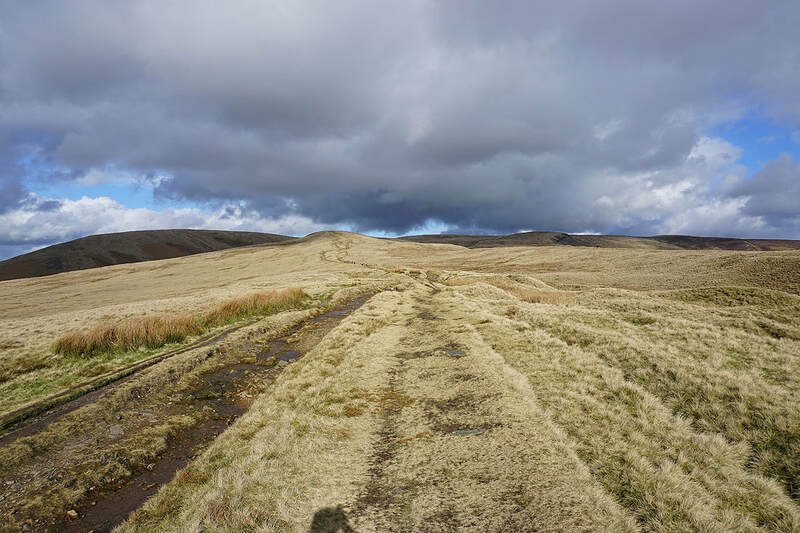 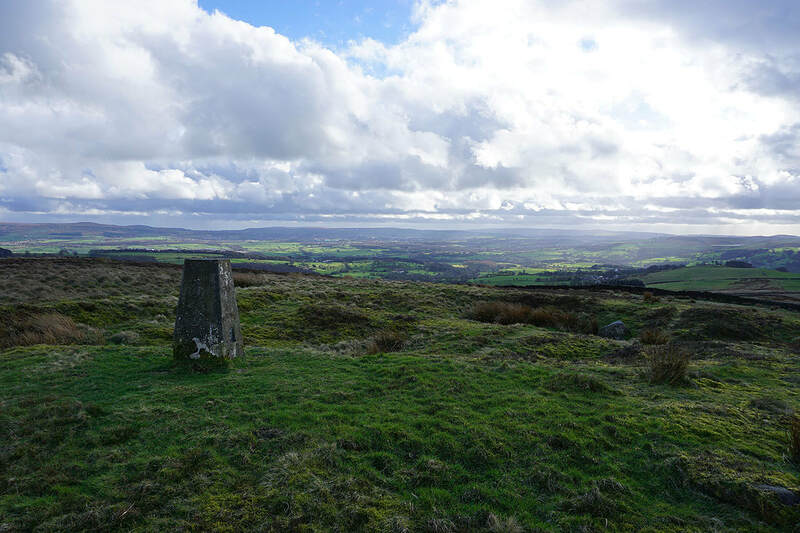 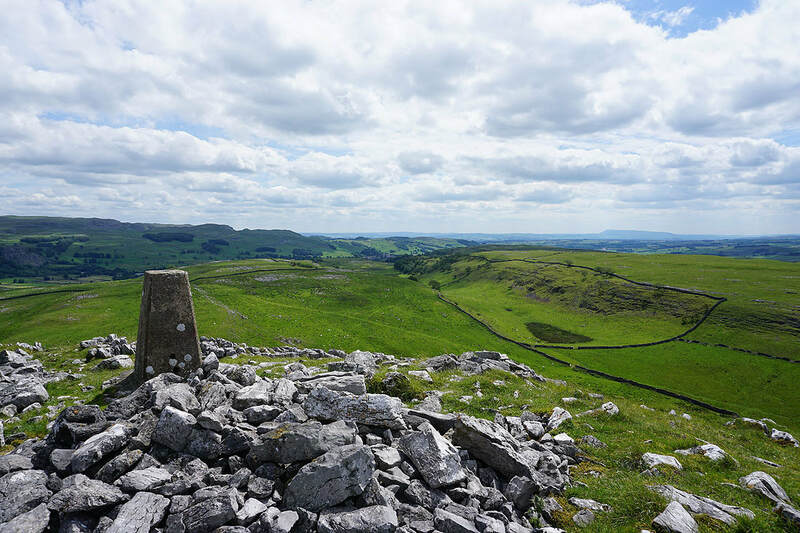 Once on Spence Moor I made my way across to Deerstones before heading across Pendleton Moor to the Nick of Pendle, where after crossing the road and taking the bridleway opposite I made my way across the moorland of The Rough to the trig point. 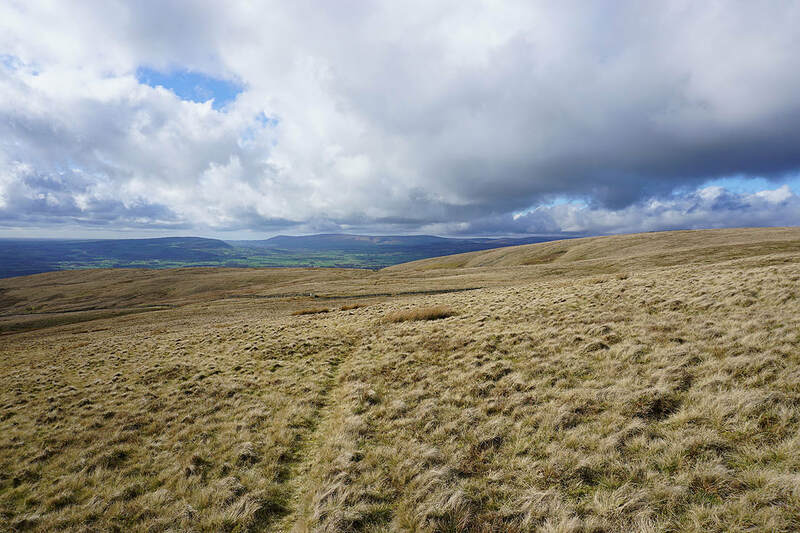 After taking in the view I descended south on access land to reach the bridleway below which I followed east to Wilkin Heys. 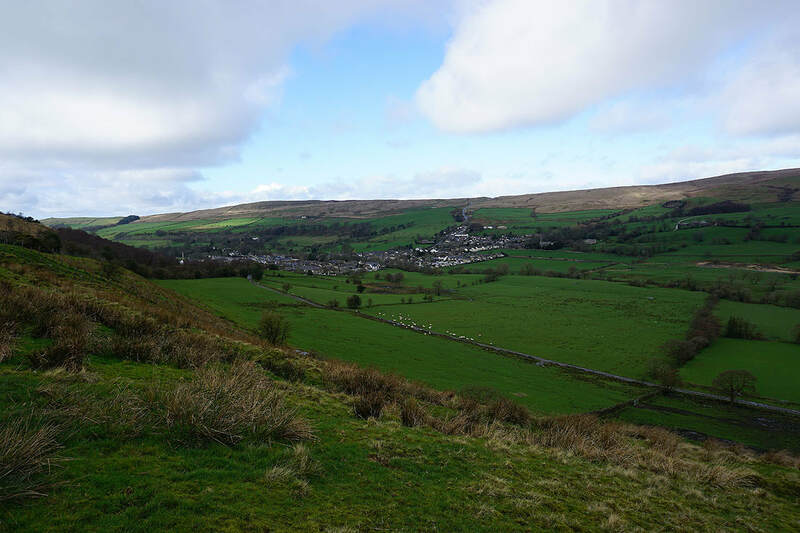 From Wilkin Heys I then took a footpath south down to Higher Whins, then west and then south down to Lamb Row on Whalley Road. 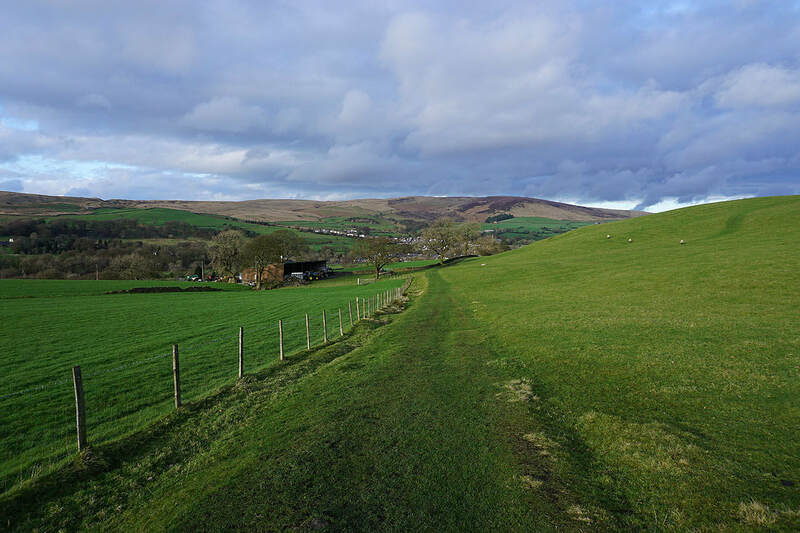 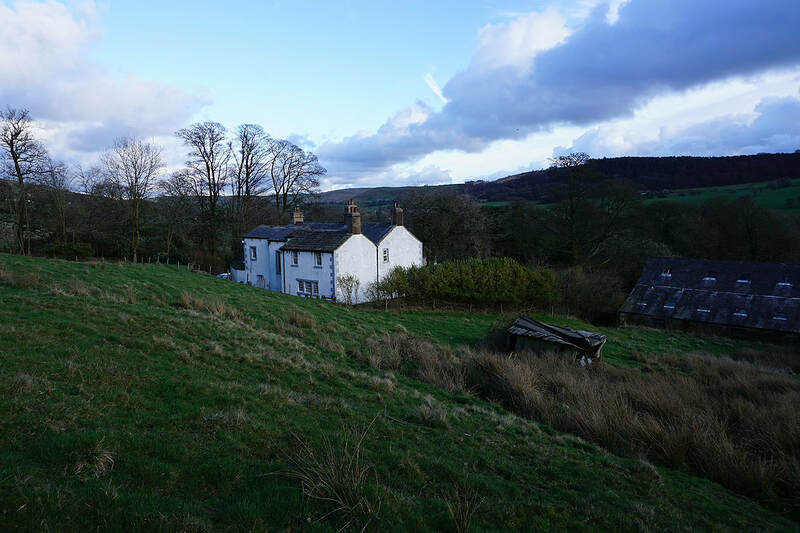 I then crossed the road and followed a track across Sabden Brook and up to Hillside Farm, then the footpath round the farm and up the hillside below Robinson's Wood to Back Lane. 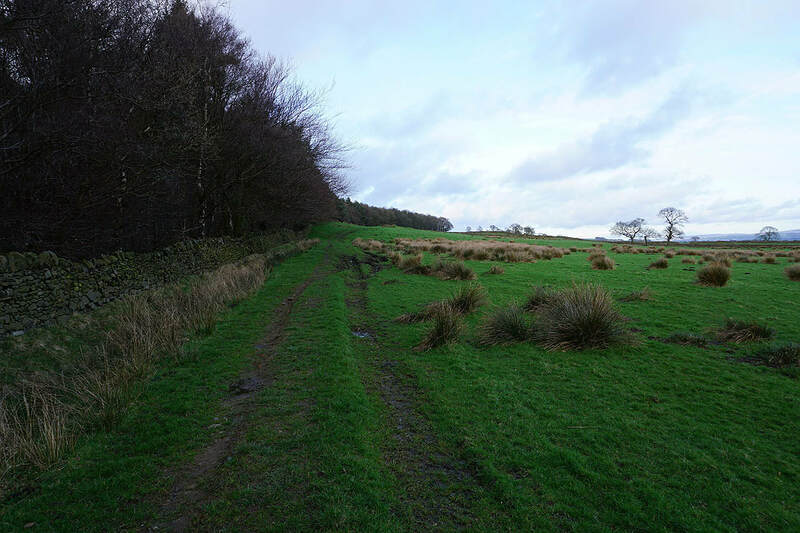 Here I turned right, walked briefly down the road and took the footpath on the left along a track towards some farm buildings, before following a footpath northeast across Read Heights and through woodland to Trap Lane. 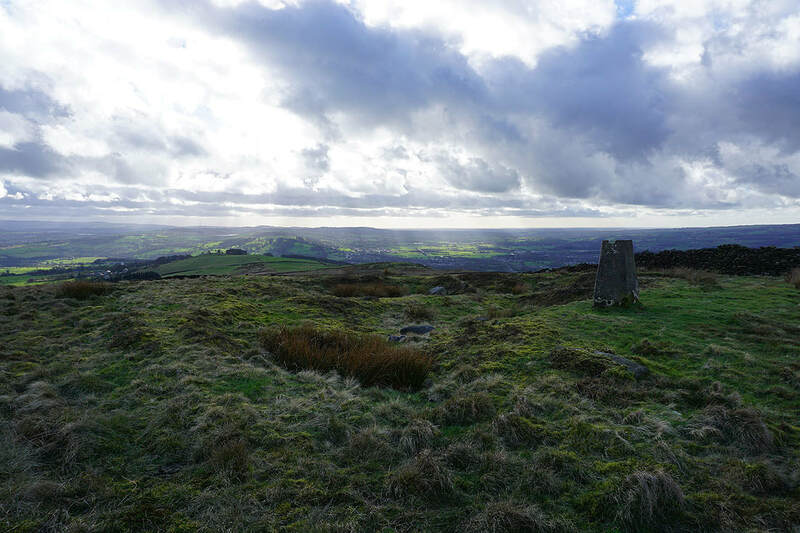 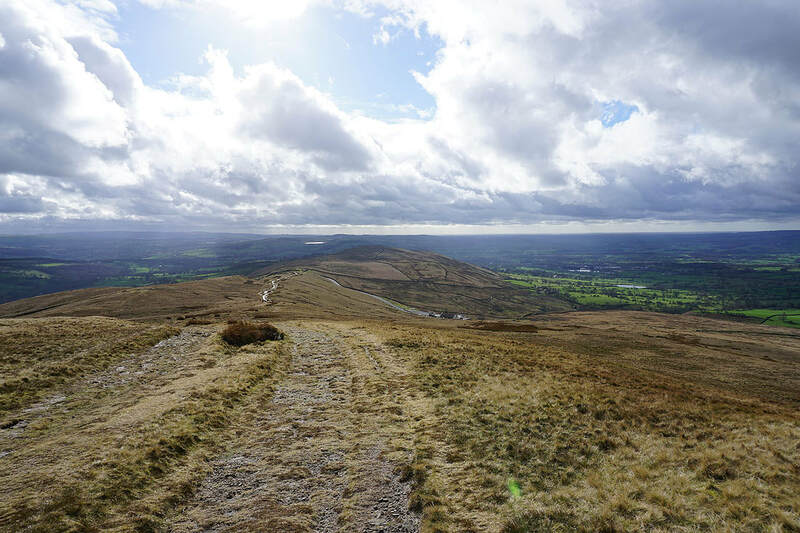 ​I crossed Trap Lane and followed the path uphill through fields next to Well Wood to reach Back Lane, where a stile on its other side lets you onto access land and the trig point on Black Hill. 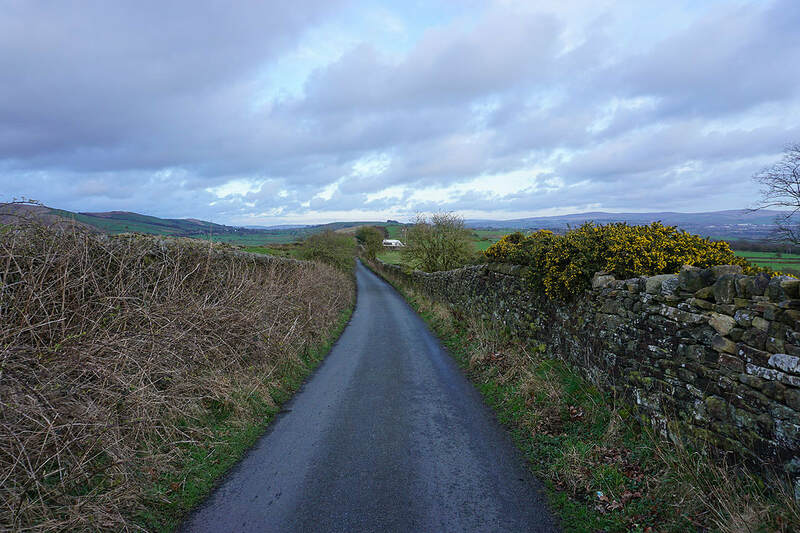 After returning to Back Lane I was left with a short walk back to the layby where I was parked. 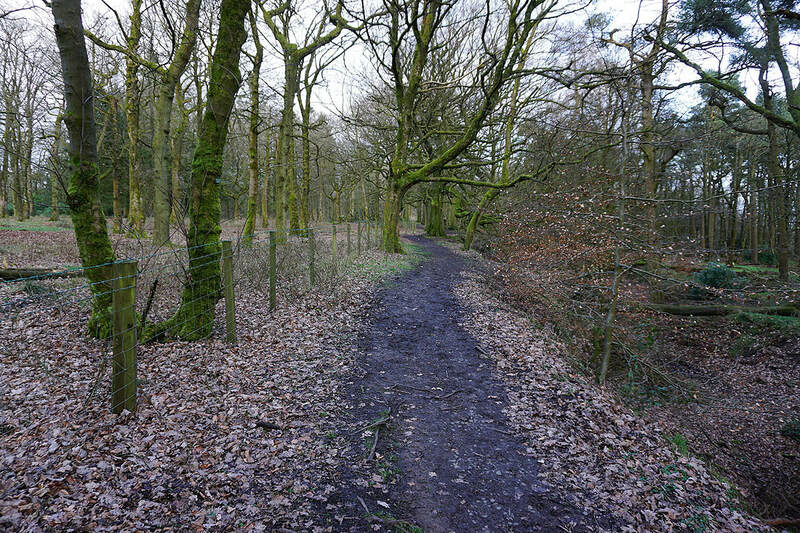 The wooded Black Hill. 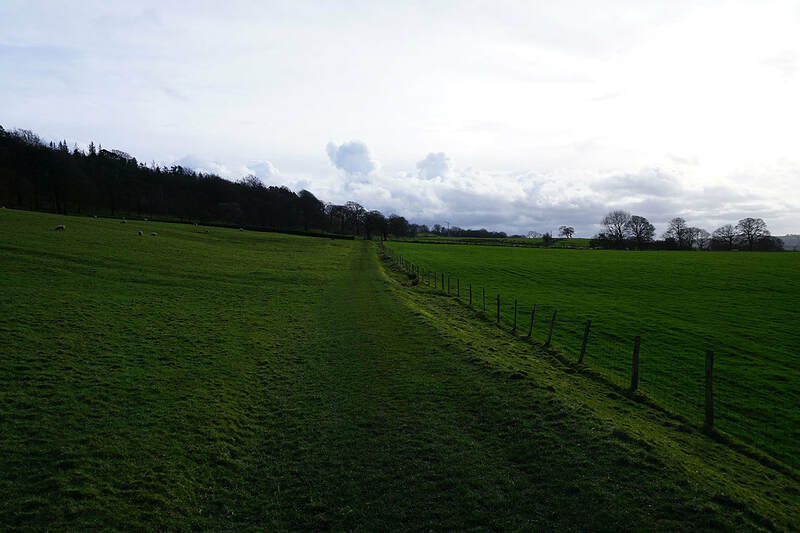 My walk started from the road that runs along its crest. 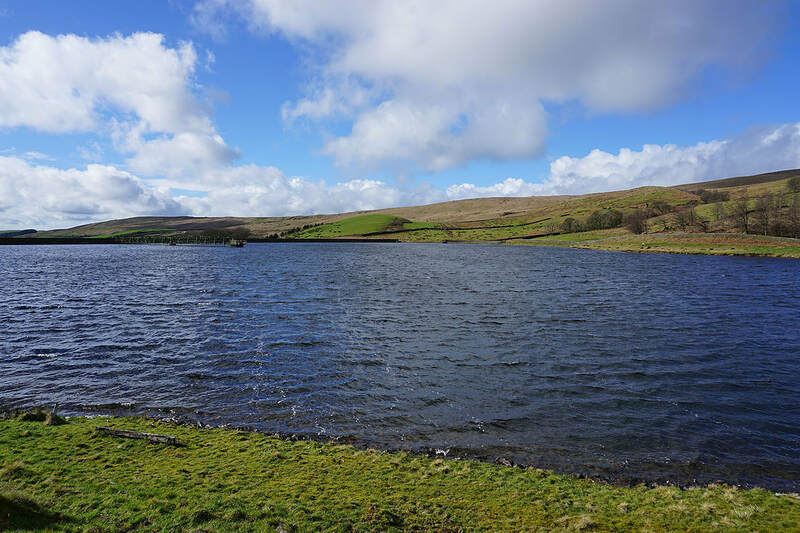 Sat on a bench next to a windswept Churn Clough Reservoir. 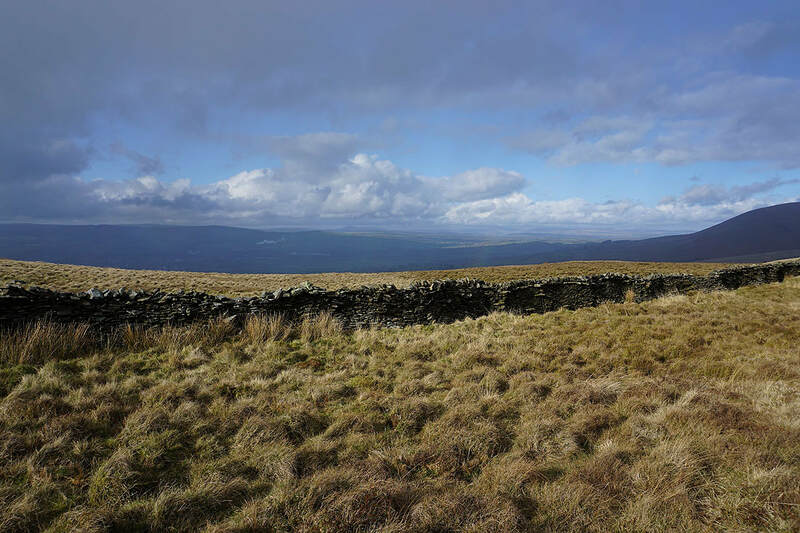 A convenient place to stop for lunch. 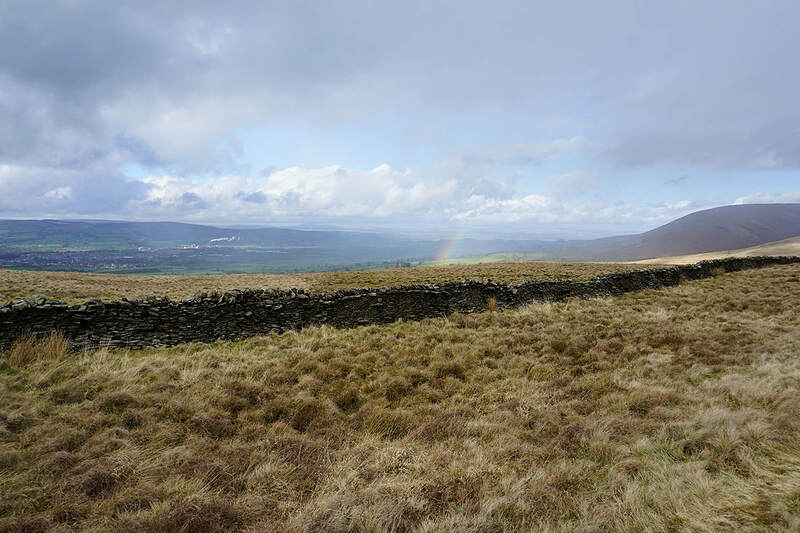 Churn Clough Reservoir is left behind..
..to head up Churn Clough towards Deerstones and Spence Moor..
Moorland colours on Spence Moor.. 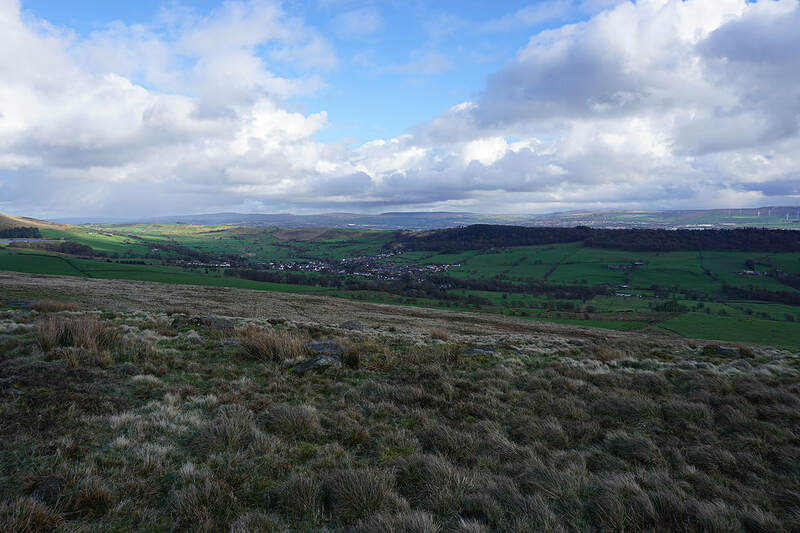 Looking back to Sabden and Spence Moor..